Born in Europe and working Worldwide! Lubrigrease Universal EP 2. Why greases are used? Research and Development (R&D) about API Group and base oils. LUBRITA and Enduro World Championship - TAURON ARENA! Racer Dziugas Kazakevicius attend in Super Enduro World Championship! TCR is a new big trend in the world motorsport scene and has revolutionized the Touring Car competitions. LUBRITA product - German TUV Certificate received! Lubrita Nano Engine Super Protection officially approved by German TUV. Energy-effecient engine oil for year-round use, and is ideal for all modern petrol and diesel car engines. Japan Lubricating Oil Society (JALOS) is an organization officially approved Lubrita moto oils. JASO MA2 engine oil for motorcycles meets the highest demand of the OEM manufacturer's. Lubrigrease Universal EP 2 is a lithium thickened lubricating grease. Multi purpose Rust Preventive Oil, long term storage up to 3 years in door storage. We operate in balance for economic growth, social development, environmental protection. Agricultural Lubricants, Mineral Oil Lubricants, Synthetic Lubricants, Bio-Based Lubricants, Application, Engines, Gear & Transmission, Hydraulics, Greasing..
LUBRITA increasing Brand awareness worldwide! The concepts of aerosol probably go as far back as 1790. Sportcars racing news, Lubrita brand new racing team. LUBRITA Brand constantly increase awareness across the globe. New design Lubrita lubricants box ready for dispatch for Distributors. Different packaging options and solutions helps Lubrita Distributors and Workshops achieve best results. Lubrita Octane Booster helps increase octane by 6 points to prevent engine damage. Product LUBRITA Hydroflow HEES 46 biodegradable hydraulic fluid based on high-quality synthetic esters. LUBRITA chemical - technical products, clean and care systems for vehicles and industry. We are very proud about Lubrita South Korea Distributor sales activities and marketing promotions. New product lounched for Agri machines, excavators and construction equipment. Lubrita team proud to announce that 60 L package available for Distributors! The Global mining lubricants market is projected to grow at a CAGR of 4.5% in 5 years. LUBRITA in Taiwan - Ever Lube Co. Ltd. it's group company of Shang Her Shing Co. Ltd.
LUBRITA Europe B.V. management visited Distributor in Taiwan. LUBRITA Korean Distributor visit dates 2017 07 17 – 2017 07 19. Improved oil flow during cold start, smoother and quieter engine running, increased performance, extended life. DIN 51506 Classification of oils for piston air compressors. Lubrita industrial lubricants and VDL compressor oils. LUBRITA SK Racing Team CHAMPION! This weekend (dates 23-25 06 2017) was great South Korean Grand Prix event! Lubrita racing team finished race in 1st position! Great event 2017 UIM F2 Lithuania Grand Prix: Kaunas 10th, 11th June. Lubricants performance categories: API, ACEA, JASO classification, OEM‘s - automobile and engine manufacturers. LUBRITA Racing Team in South Korea! Lubrita Europe very proud about partnership with South Korean Distributor. Role of crude oil in the manufacture of base stock. Braking Systems and Brake Fluids in more technical details..
Nano anti-friction barrier in the oil and optimizes the operational efficiency..
Gear pumps, Vane pumps, Axial and radial piston pumps, Centrifugal pumps and Oil Reservoirs..
Moto oils feature advanced oil technology and offer proven protection and performance. To meet many current finished lubricant performance requirements, higher quality base stocks are needed. Typical Base Stock Applications by API Group.. Synthetic Mid SAPS Oil for diesel and petrol engines with or without turbocharging. Powerful citrus hand cleaning gel for removing heavy duty industrial soiling. LUBRITA starts selling lubricants in Taiwan! Growth in lubricant demand will be driven by continued economic growth, rising manufacturing output, and increasing motor vehicles on the roads. Lubrication possible during wire ropes production and lubrication in service. Industry development across the base oils and lubricants value chain more and more important. SK Distributor is doing incredibly good Lubrita promo and marketing activities. Lubrita signed exclusive contract with Star Group. Star international became Lubrita products official sole Distributor in Bangladesh market. The global industrial lubricants market can be segmented on the basis of type as Gear oils, Compressor oils, Hydraulic oils, Turbine oils, MWO.. The ACEA association represents 13 big manufacturers: BMW, DAF, Daimler, Fiat, Ford, General Motoros, MAN, Porsche, PSA Peugeot, Citroën, Renault, Scania, Volkswagen, Volvo. We are proud to announce, that Lubrita marketing material expanding promo range..
About the Proposed ILSAC GF-6 Specification. ILSAC Oil Specifications what it means? LUBRITA Christmas Wishes to all of You! The entire LUBRITA EUROPE B.V. wishes you a Merry Christmas and a Happy New Year 2017. LUBRITA launched dedicated web site for Greases! LUBRITA EUROPE B.V. grease manufacturer has a wide range - more than 200 different greases formulations. LUBRITA updates CVL lubricants portfolio to meet API CK-4 and FA-4 categories. API introduce new diesel engine oil standards, API Service Categories CK-4. LUBRITA fuel additives catalogue online! Clean and Care systems - unique quality and an approved benefit are important arguments for many customers. LUBRITA growing in South Korea! The economy of South Korea is the fourth largest economy in Asia. MB 229.52 specification - Lubrita Low SPAsh multigrade service engine oil. LUBRITA RALLY Team. Well done! LUBRITA RALLY Team succesfully participate in competition.. Depending on the bearing speed range LUBRITA engineers recommends the following grease fill percentages for bearings..
LUBRITA MARKETING MATERIAL AVAILABLE to ORDER! Various marketing material and much more for Official Lubrita Distributors! LUBRITA EUROPE B.V. very successfully participated at Automechanika 2016 in Frankfurt. Automechanika Frankfurt was visited by more than 138 000 people! Octane booster and various fuel additives available to order..
LUBRITA CLEANERS and Happy Customers! LUBRITA various applications automotive and industrial cleaners are getting more and more popular in global market. LUBRITA Europe B.V. is a leading lubricating grease supplier. The market size of grease is estimated to have been USD 2.04 billion. LUBRITA small packs finished goods update. LUBRITA Europe B.V. introduced to the market new packaging for LUBRITA oils. Expand your range of products with LUBRITA Brand! You can simply choose from more than 300 automotive and industrial additives and care products which we have to offer expand your business. Opportunities in Lubricants and China Market Analysis. Japan, the world’s fifth largest carbon emitter, officially set a goal in July to reduce its emissions by 26% by 2030 from 2013 levels. Lubrita growing Business to Business Distribution Network! Accessible LUBRITA R&D technical support service that’s open to all customers. When lubricants, oils and greases quality and reliability are essential..
Lubrita and Overview of the Chinese Finished Lubricants Market. Lubrita International expanding own operations! LUBRITA will open UAE facilities to expand LUBRITA business to MENA region. Lubrita Trademarks increasingly accepted by over the World! Happy to announce that LUBRITA Trademarks and Brand increasingly accepted over the World! LUBE REPORT about LUBRITA EUROPE B.V. Briefly noted, LUBRITA EUROPE B.V. opened office in Alkmaar, Netherlands. Lubrita Europe B.V. new office in Netherlands! Lubrita International open company office in city Alkmaar, North of Netherlands. Lubrita Lubricans shipped to SENEGAL in Africa! LUBRITA team send congratulations to business partner in AFRICA! Penetration of grease, Shear stability, Dropping point, Washout of grease and more..
Lubrita R n D department introduced environmentally friendly antifreezes. Lubrita Heavy Duty Diesel Engine Oils - Protecting Engines! Lubrita manufacture lubricants with passion - ACEA and API specifications for HDMO. Lubrita WR OH GREASE RED it‘s one of the BEST GREASE in the FOREST INDUSTRY! Lubrita enter into wood, timber and forest business indirectly – lubrication solution for harvesters. Lubrita Sprays and Aerosols for Wood industry! Lubrita Sprays and Aerosols for Wood industry and fluorescent forest markers. Lubrita Branding - Indian and Asian automotive and industrial lubricants market. Lubrita India head office covering Asia region and supply outstanding performance lubricants! Customers from all continents trust in Lubrita oils quality! Day by day Lubrita Team increasing market share with Lubrita products in different world regions! Lubrita supply customers worldwide from biggest European ports! Lubrita supply customers worldwide from biggest European ports in Germany and Netherlands. Lubrita Lubricants during Production Follows Cleanness Everywhere! Lubrita use Clean and Virgin Base Oils! Our Team Working Environment is Clean as well! Lubrita oil analysis program is integral to any successful lubricant reliability program. Oil analysis reports are fast, accurate & reviewed by technical experts. Lubrita Technical Sprays and Aerosols for Higher Efficiency and Productivity! Lubrita technical aerosols are indispensable as tools in variuos industries and workshops. May this special Easter day be blessed with joy and happiness. New Generation engine oil for Japanese Cars SAE 16 oil now available for supply! Each day, we innovate to anticipate our distributors and customer expectations. Lubrita Europe Team send best wishes to India people. Happy HOLI! Read on to learn how to set the record straight when it comes to lubricants and common myths and misconceptions. The SAE 16 viscosity grade was added to SAE J300. Lubrita‘s Gas Engine Oils meet the demands of your operation. Lubrita products available online in Ukraine! Congratulation Lubrita Distributor in Ukraine. Great job! Lubrita Team proud about Lithuanian home Team in Dakar Rally 2015 and wish a lot of success! Lubrita Hydroflow Bio SB HVLP series are very high quality hydraulic oils based on biodegradable synthetic esters. Lubrita Gear Oils for Energy Windmills.The global wind turbine gear oil market is forecast to grow to 41.000 metric tons by 2020. Lubrita presents an overview of the BMW oils and the tests. Technical information about BMW Longlife engine oils. Correct procedures will prevent damage.. Bulk, IBC'ies, Drums, Pails, and Cans of lubricants. The right Lubrita engine oils for your Porsche vehicle. Now Lubrita HDEO's available for supply also in 5 L cans! Lubrita increased sales of Metalworking Fluids-MWO. Leading manufacturers of heavy-duty trucks and engines, recently met in Tokyo. LUBRITA Managment participated in FORUM One about PEOPLE, COMPANIES, PRODUCTS. The new JV operating as Lubrita India Private Ltd. It will make lubricants for sale in India, Bangladesh, Sri Lanka and Nepal. Market Size, Share, Growth, Research. Construction Review Magazine by Africa for Africa placed Lubrita press release in magazine. Lubrita started its operation in Indian market! The JV Comapny Lubrita India Private Limited will trademark Lubrita brand of products in India and neighbouring countries such as Bangladesh, Srilanka and Nepal. Global Lubricants Market Industrial (Process Oils, General Industrial Oils, Metal Working Fluids), Automotive (Heavy-Duty Engine Oils, Hydraulic & Transmission Fluid, Gear Oil, Passenger Vehicle Engine Oils) Expected to reach USD 70.32 Billion by 2020. Lubrita Heavy Duty Diesel Engine Oils designed for High Efficiency. Even some of the most powerful and sophisticated modern equipment will not function without proper lubrication. Lubrita synthetic detergent hydraulic fluid is of tailor made quality for heavy duty hydraulic systems of earthmoving equipment and of permanent installations, where small amounts of water can penetrate into the system that have to work under high pressures and low temperatures. Labelling in conformity with Regulation EU-GHS/CLP will be mandatory with effect from 1 June 2015. Globally Harmonized System. Lubrita products and in stock position in Iraq market! Lubes Shelves looks nice! Very Good Job! Lubrita dexos® engine oils and specifications. The dexos® specification is uniquely designed to complement the requirements of GM (General Motors) advanced engine technology. Highest standard of Lubrita lubricants labels and labeling machinery. Congratulations Certified Lubrita Distributor in Russia. Lubrita in Europe producing lubricants in very modern lubricants plant, which operate since 1891. Lubrita technical advice how to change engine oil? Total consumption of motor oils by passenger cars, light commercial vehicles and buses expects the market for these categories to reach 783 million liters by 2017. Lubrita Special Life D SAE 5W-30 engine oil for BLUETEC Daimler Technology Engines. Lubrita Technical Sprays and Aerosols Brochure available to download. Lubrita Marketing spend a lot of energy in designing labels to ensure the Origin of Lubrita products. Lubrita Industrial Gas Engine Oil BG/LF 40 meets the following performance specifications: Jenbacher class B / class C, Jenbacher Type 2 and 3, Jenbacher Type 4 Version A,B, Jenbacher Type 6, Versions up to Version E.
Greases Brochure already available to download. Lubrita lubricants available in Croatian market! Longest Lithuanian jeeps off road rally raid around Lithuanian country border. ACEA prefers European engine oils performance tests in the European Oil Sequences. After two days of hard drive our Lubrita Racing Team driver Mr. Jurgis Dzvonkas in E2 class was second in Lithuanian Enduro chamionship first stage. Congratulations KRZNARIĆ d.o.o. in Croatia and Wellcome to Lubrita International Team! Lubrita offer support to assist maximising the success for Lubrita Distributors business. meets AGMA CG-1 and AGMA CG-2. Couplings are mechanical connectors that transmit torque while accommodating shaft misalignment. The old and new specifications are given below so that you can see the quality upgrade applied to the Lubrita DEO HPX 10W-40. When storage of drums outside is unavoidable, the drums should be stored horizontally and covered. Necessary step to achieve lubrication excellence is designing a best practice lubricant storage and dispensing room. Please find the Lubrita International Corporate Brochure, Lubrita Racing Engine Oils, Industrial lubricants, Passenger Vehicles lubricants, Transformer Oils and much more.. While global consumption of finished lubricants is estimated to grow annually at 1.7 percent, global lubricant additive consumption is projected to grow at 2.2% per year. REACH is the European Union’s regulatory system for chemicals. Lubrita cars engine oils series - explanation and appliance. Cleaner running engines, better fuel economy, lower maintenance costs! CHEM RUST & LUBE Industrial Solution appointed as official Lubrita distributor in Malaysia. Lithuanian sport cars drivers Mr. Benediktas Vanagas and Mr. Antanas Juknevičius succesfully compete in Dakar rally! From Lubrita home land we are proud about -No 373 Dakar team Lithuania, Car: OSCAR 03 OSC. PMM Group, owner of Lubrita Brands, implemented ISO 14001:2005 Environmental management systems in the company. PMM Group, owner of Lubrita Brands, implemented ISO 9001:2008 Quality management systems in the company. Lubrita lubricants back side labels now available in 5 languages! Lubrita lubricants back side labels available in 5 languages: English, German, French, Spain and Russian. Brazilia - sixth largest lubricants market globally. Do You know about MIL-Specifications and meaning? MIL-SPEC, (military specification, military standard (MIL-STD)) is a United States Defense standard used to describe a product that meets specific performance. Industrial vehicles may pause their activity more frequently. If the start/stop function is activated too frequently, damage could be done to the engine's components and parts. Lubrita introduced new small Packages and Groups for Passenger Vehicle Lubricants. One of Lubrita company focus is to offer a high level of customized Logistics products, Flexi-Tanks. World lubricant demand will increase 1.6 percent per year. Total annual lubricants demand more as 40.5 million metric tones. Global Trends In Oil & Gas Markets estimated to 2025. In 2012, for the first time in history, over 60 million passenger cars was produced in a single year. Lubrita branded industrial lubricants helps to improve equipment life and check oil level. Lubrita industrial lubricants. Lubrita logistics started supply Lubrita compressor oils to Israel. Lubrita International – lubricant company born in Europe, working Worldwide. Introduced Lubrita Sprays and Aerosols for different industries and applications. Right lubrication program can help avoid equipment failure and high maintenance costs. Lubrita successfully continue International marketing activities at LNG International lubricants and greases magazine. Lubrita 24-26.09.2013 team successfully participated in the exhibition Inter Lubric, Guangzhou in China! On behalf of Lubrita‘s team name thanks to our booth B31 visitors at Inter Lubric Lubricants and Technology Exhibition. When Lubricants quality and reliability are essential. Independent regional lubricants business magazine for and about the lubricants. How to change properly hydraulic systems fluids? Lubrita Synthetic Racing Motor Oils. Lubrita engine oils and Ford WSS lubricant specifications. Lubrita outstanding quality of cleaning products. Lubrita transformer oils are produced, stored and handled with the aim to achieve the best possible performance in transformers. Printed Lubrita oils and greases catalogue for lubes industry professional use. Lubrita International ready to participate at Inter Lubric China Fair! Lubrita International Broshure in Chinese and English version done! Ready to participate at 14th China International Lubricants and Technology Exhibition, Inter Lubric China 2013. Look for a trusted or authentic repair shops for oil change, which are already lined up before you even need. PMM Ltd. Lubrita International, participate at 14th China International Lubricants and Technology Exhibition. Visit us at Booth B31. Save much time and money by upgrading your air Compressor lubricant from mineral based oils to Synthetic lubricant. Industrial equipments very much relates on lubrication, but whenever there’s a problem with the Industrial’s equipment every eye turns to the Synthetic Industrial oils. Succeeded in bringing together the base oil manufacturers, additive suppliers, OEMs & lubricant blenders from across Europe to discuss the challenges & opportunities particular to the continent. 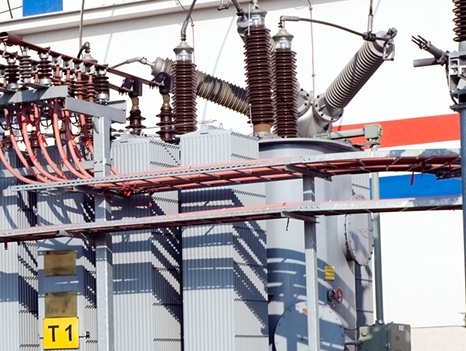 Transformers oil serves various functions such as protecting the solid insulations, providing dielectric strength, facilitating the heat transfer. EVA-NICOL WEST AFRICA LIMITED appointed as Lubrita Exclusive Distributor for West Africa! Africa-Lubrita lubricants market and opportunities in West African countries. Selecting the accurate lubricant for your engine will definitely extends the life of machine. That is the reason for Lubrita engineers to investigate vast resources in research and development. Lubrita Marine Oils provides to the ships high quality marine lubricants. As a partner to the shipping industry we supplying bulk and packed lubricants. Lubrita Corporate Reputation, Health and Safety at work, Environmental Care. Why Choose the Compatible Gear Oils? Quality of automotive gear oils and industrial gear lubricants can help in providing the exceptional long-life performances even under the extreme environments and temperatures and can enhance for better productivity. Global market of crude oil industries has always been not as stable, as it has already seen in past years we have witness many fluctuations in terms of prices and demands from all over the world. Grease is generally used for reduction in friction in all the machines. Lubrita lubricants improved product line and categories! Gearbox needs complete oiling or lubrication in the accurate quantity. Grease plays an important part to extend the production and service life of variuos machinery. There are certain reasons that you may require an air compressor. Emissions, Fuel Efficiency and Regulations. Hydraulic oils are known in the market as hydraulic fluids or hydraulic liquids as well.. Hydraulic Fluids Classification and fields of application. In reality, industrial gears have been frequently controlled with low oil temperatures than can generally be produced in an overloaded gearbox. How The Lubrication System Works In An Engine? You drive your car every day, isn’t it nice to know how does it work? You may know about maintaining your car. There are the relevant details of how the combustion engine works. Mineral or Synthetic Lubricants - Which one is Better..?? Lubrita have developed a range of synthetic oil products that have better properties than mineral oils. In Developed Countries like France continues to develop its base oil and synthetic lubricant for better products to meet the demand. How to Choose Best Suitable Hydraulic Lubricants? Hydraulic oils are liquids used as power transmitters normally used to transform, transmit control and generate mechanical stress through a variation in pressure or flow. Lubrita HC (Hands Cleaning) products recommendations. April 2013 delivered 7.200 KG Lubrita Grease Universal EP2 to Central Asia. LNG's flagship, award-winning, independent monthly magazine for and about the global lubricants industry. Lubrita transformer oils Trafo Univolta 13X and Trafo Univolta 13T. Russia automotive lubricants poised to grow. The electrical oil market is expected to grow. Lubrita Trafo Univolta 13X and Lubrita Trafo Univolta 13T shows excellent performance. Oil is being traded in New York Market that rises on 17 of March’13 to its highest level since the beginning of March. Lubes'n'Greases Europe-Middle East-Africa is the first independent regional business magazine. Brent testing down the symbolic level of $ 110 when the WTI remained stable. 24-26 September 2013, Guangzhou Poly World Trade Center Expo. World Lubricant Demand to Reach 40.55 Million Metric Tons in 2012. Lubricants market, global Industry size, market share, trends, analysis, forecast and lubes industry research. China’s oil industry becoming a key target for private investment. Sébastian Loeb win his seventh Monte Carlo Rally. Lubrita lubricants small packaging design - ready to go into global market! We fill Lubrita oils into different packages: 1000 L IBC containers, 200 L drums, 20 L pails, 5 L, 4 L and 1 L cans. This article is a list of countries by the number of motor vehicles per 1,000 people. Lubrita Lubricants and Greases listed on World's leading business portal. Today Translations did an outstanding job and we are delighted to continue using their services, as well as recommending them to all of our current and future customers. Dear Valued Collegues, Customers, Business Partners. Thank You for Valuable Partnership in 2012! Lubrita International signed agreement for 2013 Ad with LNG Publishing Company Inc. Signed agreement for 2013 Ad with LNG Publishing Company Inc.
Lubrita International become a member of GS1 organization! GS1 Member Organizations in over 100 countries provide implementation tools and services in their area. Bar codes and the GS1 System of identification are a trusted friend providing enormous benefits to our world. expected to be within specification for at least one year. In case you have any further questions about this guideline or Lubrita transformer oils, please go to www.Lubrita.com and contact your local sales representative or contact Lubrita technical service (info@Lubrita.com). With respect to the facts and information available in this guideline, neither Lubrita nor any of its employees, makes any warranty, express or implied, including any warranties of merchantability, noninfringement or fitness for a particular purpose, or assumes any liability or responsibility for the accuracy, validity, completeness, or usefulness of any facts or information, product, or process disclosed herein. These general guidelines shall under no circumstances form part of an agreement between reader and Lubrita. International Lubrita Distributors network and World wide Oils & Lubricants online stores. Personal data of the website visitors are processed in accordance with the legislation in force and ensuring the appropriate technical and organizational measures for the protection of personal data. check out the Web site and its individual pages and parts, to analyze Web site traffic (the date and time of visit, browsers used, types of devices and their screen sizes), and thus continually improve the Web site, in order to better meet your needs. Improve your login to your online store account. You can restrict or block cookies by managing your web browser settings. If you want websites to not have any cookies on your device, customize your web browser settings so that you are notified before any cookie is placed or the web browser deletes all cookies. You will need to individually adjust settings for each Internet browser for each device. For more information about cookies, their principles of operation and settings can be found on the website http://www.allaboutcookies.org . The web site has a request form that you can fill out with your request to the Manager. In order to respond to your request and save proof of communication, the Manager will in any case handle the information you provided: your name, email, and request. You will not be able to contact us by submitting a request without specifying this information. If you want the Manager's representative to be able to contact you not only by e-mail, but also by telephone, you can also provide your telephone number with the request, but you can also submit the request without the phone number. The personal data submitted with the request and the further correspondence between you and the Manager's agent will be kept to the extent necessary for the fulfillment of a specific task and to ensure the implementation of the rights of the Manager. Only the registered online store users following the conditions of purchase in the e-shop can purchase goods in the manager's online store. In order to be able to fulfill your order properly, you need to provide correct personal information when registering. You can view and modify your personal details by logging in to your online store account. Please, before submitting a new order, in all cases, verify that your personal data held by the Manager are relevant and correct. The Manager assumes no responsibility if your personal data will be disclosed to other persons, you will not receive any ordered goods or experience other inconvenience due to incorrect personal data delivery or non-renewal. No property losses will be compensated due to submission of improper personal data. The personal data of registered at online store persons will be provided to the companies providing goods delivery services, banks, which handle billing for purchased goods or services, as well as to the data processors used by the Manager (the information system administrators used by the manager, the marketing services agencies). You can cancel your registration at online store at any time by e-mail at info@Lubrita.com. Your account will be canceled no later than within 7 business days from the receipt of the sent confirmation email and you will be notified by email on the deletion of your account. Your personal data processed for the purpose of electronic trading is stored for 5 years since the last time shopping in the online store. If you do not buy at online store for 5 years, your account will be deleted and all personal data contained therein will be deleted. You will be notified of the intention to cancel your account at least 5 days before the account is canceled. You become the Loyalty client of the Manager by acquiring a Manager Loyalty card under the terms of the loyalty program. In order to become a loyal client of the Manager and to purchase the products distributed by the Manager at a more favorable prices, you must provide the Manager with the following information by registering in the loyalty program: name, email, telephone number and address. In order to become a member of the loyalty program you do not have to submit any other personal data. In addition to personal data submitted by you, the Manager will also process the history of purchases made through a loyalty card, such as: purchased goods, their price, the discount applied, order date, payment method and date, delivery method and date. The legal basis for the processing of personal data processed for the purpose of carrying out the loyalty program is the desire to fulfill the contract for participation in the loyalty program. Your personal data will only be used to provide you with discounts and make direct marketing offers. If you do not wish to receive news and information on promotions for loyal customers from the Manager, check in the "additional information" box when registering that you do not agree to the processing of your personal data for direct marketing purposes. Your personal data processed for the purpose of performing a loyalty program will be transferred to the Manager's data processors (Administrators of Information Systems used by the Manager, Marketing Agencies). You have the right to withdraw from the loyalty program at any time by submitting an application to the e-mail address info@Lubrita.com. For processing your participation in the Loyalty Program, your personal data will be erased no later than 7 days after the confirmation about sent receipt of the email and you will be informed by email about the deletion of personal data. Each Web site visitor can subscribe to the latest news about products and services offered by the manager, promotions and practical tips (subscribe to the newsletter). By signing up to the online store, or a loyalty program you are also included in the Database of Recipients of the Manager's Newsletter, unless you state at the time of registration that you do not wish to receive Manager's Direct Marketing Proposals. The persons that have subscribed to the newsletter and registered at online store, so the loyalty program participants may at any time refuse Manager's newsletter by clicking on the refusal link in the newsletter or by submitting a request to the e-mail address info@Lubrita.com. Video surveillance is provided in the territory and premises of physical Manager stores, located at World Trade Center Amsterdam, Schiphol Boulevard 127, 1118 BG Schiphol, Netherlands. The image is monitored in order to ensure the security of the Manager's assets and employees. The legal basis for the processing of these data is the legitimate interest of the Manager in preventing the occurrence of damage that the Manager would suffer if he lost his property or did not ensure the safety of his employees. Observed areas and parts of the premises are marked with visual means visible before entering the video surveillance field. The territory and premises of the Company are monitored only in real time; we do not record and store image data, so we will not be able to satisfy your requests for access to image data. All personal data submitted by persons wishing to employ at Manager‘s Company are administered by the Manager only for the purpose of selecting and recruiting staff, having a legitimate interest in assessing the suitability of a candidate to work as desired. In addition to the date provided on selection and recruitment purposes by the same person who wishes to work at the Managers Company, the Manager may collect and otherwise handle other publicly available candidate data, i.e., look for information online, check candidate social networks (such as LinkedIn, Facebook, Twitter) profiles and so on. The Manager can also apply to the former candidate's employers, indicated in the candidate's CV or social networking accounts, and request information about the candidate's qualifications, professional abilities and business characteristics. Submitted by the candidate and independently collected data about the candidate Manager keeps 4 months since the expiry of a specific employee selection. The term for the storage of personal data is prolonged only with the individual consent of the candidate. If the consent to keep the candidate's personal data for more than 4 months after the selection is not obtained, after the expiration of this term all the personal data of the candidate (both presented by the candidate and collected by the Manager) are deleted. The right of access to their personal data, processed by the Manager. Registered e-shop users can access their personal data and change them by signing up to an online store account. In other cases, the right of access and request for the correction of personal data shall be implemented by submitting a written request to the Manager's office address or to e-mail address info@Lubrita.com (in case of an application signed by e-signature). The right to demand that the Manager restrict the processing of personal data until the accuracy of personal data is verified, until it is determined whether the interests of the data subject who disagrees with the processing of personal data are superior to the Manager, as well as in cases where personal data is processed illegally, but the data subject does not agree to delete this data. This right is implemented by providing a written request to the Manager's office address or to the email address info@Lubrita.com (in case of an application signed by e-signature). If the application is reasonable, the processing of personal data will be limited within 5 working days from the receipt of the request. This right is implemented by providing a written request to the Manager's office address or to the email address info@Lubrita.com (in case of an application signed by e-signature).If the request is reasonable, the Manager submits to you or your designated data Manager your personal data in computer-readable form no later than within 30 days of receipt of the request. Registered e-shop users and loyalty program participants express the right to oppose the processing of their personal data for direct marketing purposes by abandoning the newsletter, clicking on the refusal link or by submitting an application to the e-mail address info@Lubrita.com. In all other cases expressing disagreement with the processing of your personal data will assess whether your legitimate interest is superior to the Manager. This right is implemented by providing a written request to the Manager's office address or to the email address info@Lubrita.com (in case of an application is signed by e-signature). The data Manager shall delete the relevant personal data within the 30 days following the receipt of the request or refuse to accept the application and shall state the reasons for the refusal in writing. This right may be enforced by submitting a complaint to the State Data Protection Inspectorate regarding any actions of the Manager concerning the processing of your personal data. In cases when you implement your rights by submitting a written application to the address of the Manager's office, a copy of the identity document (passport, ID card) certified by a notary must be submitted along with the application.